News outlets began live-streaming broadcasts of the fire on YouTube, but below some of the clips an unusual text box popped up—an entry from the Encyclopedia Britannica about the September 11, 2001 attacks in the United States. A spokesman for YouTube, which is owned by Google, said the text box feature—which is currently only available to users in the US and South Korea—had been disabled for live streams related to the fire. The panels are supposed to combat misleading videos about well-known events—such as the first successful manned landing on the moon—by presenting well-established facts, in a bid to stop the spread of conspiracy theories. Notre Dame stood from before the discovery of the Americas and nothing like this ever happened. Yet, suddenly, it occurs. It indicates that something else distinctive may be involved. Thursday of last week, at a "retreat", "Pope" Francis kissed the feet of two apparently non Christian South Sudan politicians as an act of groveling to induce them to remain and discuss peace talks. That was an act of blasphemy toward Catholicism and wholesale disrespect of God ad man. Kissing another's feet is a sign of respect, even worship, in Catholicism. It is reserved for those who are utterly good by the rules of Catholicism. It is not supposed to be used as a sniveling inducement to individuals to do what['s right. It can be said, if the politicians had to be cajoled into peace talks, they do not deserve that sign of respect. 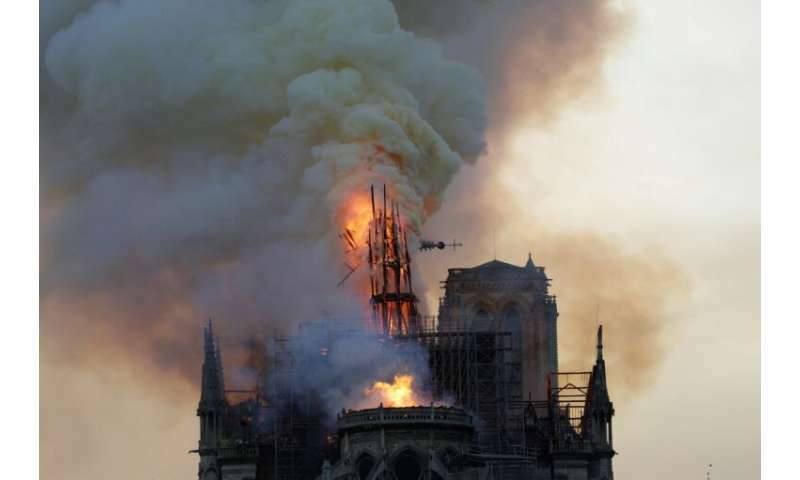 The Notre Dame fire appears to be a sign of God's anger at Francis' antics. Yet you worship such an unforgiving, vindictive God.